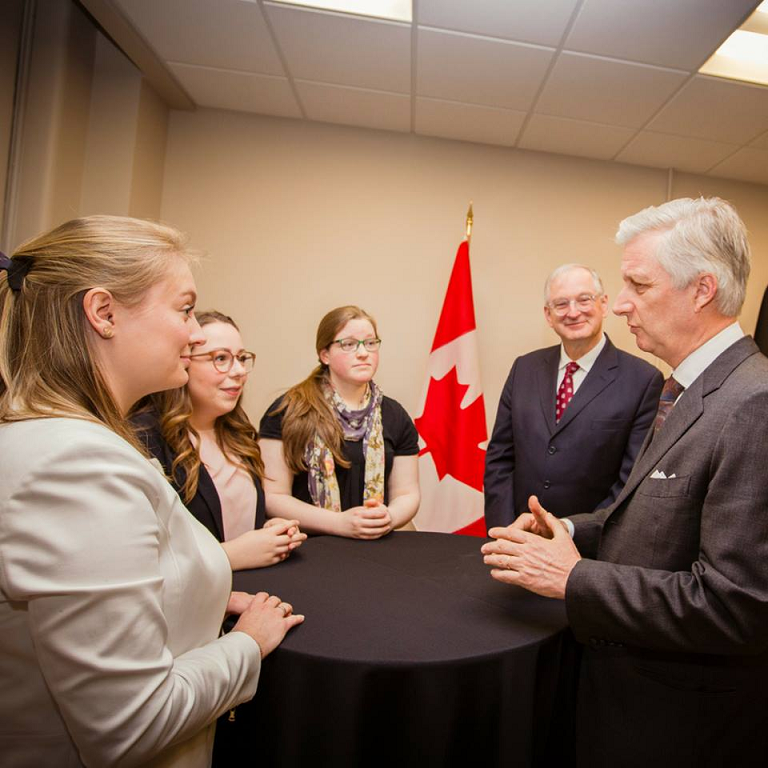 As part of the state visit to Canada of Their Majesties the King and Queen of the Belgians, the University of Ottawa and the Université catholique de Louvain joined forces to organize a scientific seminar entitled "Multilingual Education and Language Learning: Canada and Belgium at a Crossroads." We would like to highlight the role of Sylvie Lamoureux, the OLBI Research Chair of Language Management, in the organization of this event, along with Philippe Hiligsmann, Dean of the Faculty of Philosophy, Arts and Letters of the Université catholique de Louvain. OLBI was also represented at the panel of experts by Jérémie Séror, Director of OLBI and Associate Dean of the Faculty of Arts. The interventions of Jérémie Séror (ILOB), Bertrand Hamaide (Université Saint-Louis) and Piet Desmet (Katholieke Universiteit Leuven) gave a presentation on the different experiences and recent research results related to language learning in the university context as well as the integration of new technologies in support of language learning.